Matt Edmondson had is eyes set on a career in broadcasting from an early age. He became widely known and sometime infamous, as resident interviewer for Holy Moly TV. Matt’s unique irreverent style was perfectly showcased as the presenter for the weekly online entertainment & music show Pocket TV, which had two successful series. Matt joined the T4 family in July 2010 and was a regular presenter on the Freshly Squeezed sofa. 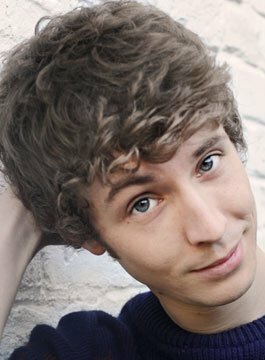 In 2010, Matt Edmondson became the official face of the ‘Fan Factor’ a weekly online show for the X Factor website, that took a cheeky look at the X-Factor live shows. Matt has hosted two series of ITV2’s panel show Fake Reaction, which involves celebrities and comedians showing off their ability to ‘fake it’. Matt also co-hosted ITV2’s Xtra Factor along side Rylan Clarke. In April 2011, Matt was given his first Radio 1 Show an hour of comedy filled entertainment, a radio show unlike no other on the station. Matt now presents ‘The Matt Edmondson Show‘ on weekend mornings from 10am to 1pm on Radio 1.